If you are going on holiday this summer then you must try this! 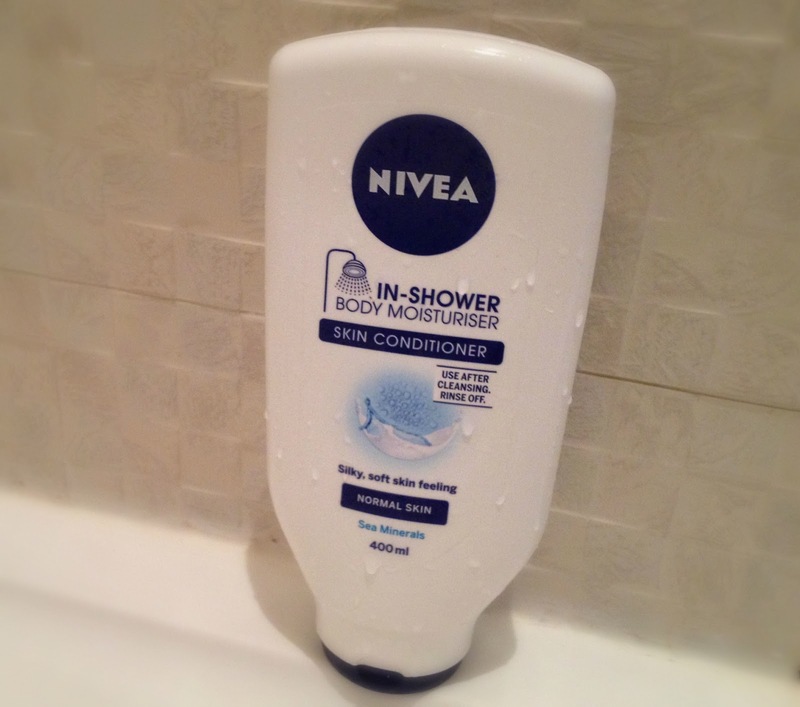 Nivea first released their In-Shower Body Moisturiser in the UK last year. I picked it up as I read about it on British Beauty Blogger and I wanted to give it a try. I ending up liking it so much that I hailed it the best after sun I have ever used! The basic premise is that you shower as normal and then at the end you wash yourself with the In-Shower Moisturiser and rinse it off... I know - I was sceptical too at first. But it works! 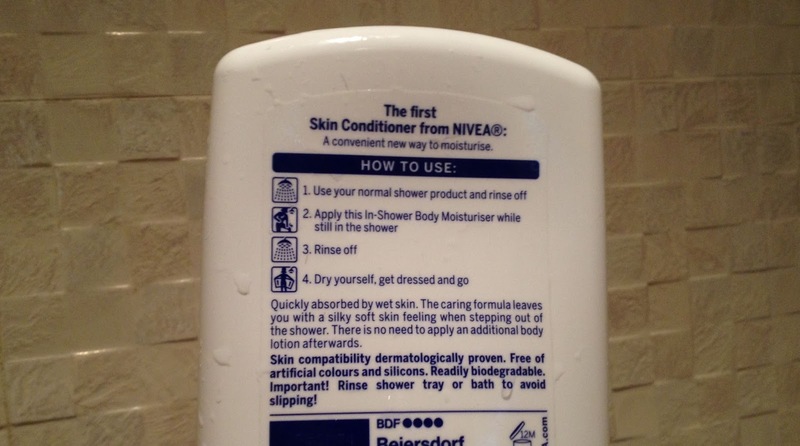 I was surprised that my skin really did feel moisturised afterwards, even though I had washed the product off. It looks like a creamy shower gel and has a really nice fresh fragrance. When you use it in the shower you need to stand out of the water flow for a few seconds whilst you apply it, so it has contact with your skin. But I didn't need to hang around waiting for it to soak in - I just washed it straight off and was good to go! The Nivea In-Shower Moisturiser comes in a few different forms. There is a normal skin and a dry skin version. But best of all - it is cheap!! You can find it on offer at £2.37 for 250ml HERE. I'm off on holiday next week and will definitely be taking this with me!